We are all living in the experience economy. We all have a recall of products that provide great user experience and we also tend to share a positive word of mouth about such products. Product engineering isn’t just about delivering a functionality anymore but also about delivering a seamless experience. A highly visual product is inevitable. It creates engagement and makes the overall experience intuitive. While backend is important in terms of performance and speed, the frontend is important for the user to stay and perform the end goal may it be downloading a whitepaper, buying a product, taking the services and anything “conversion”. AngularJS is just getting popular among companies to build intuitive and engaging frontend. Many AngularJS development companies advise their clients to leverage Angular over other JS frameworks because of advantages such as two-way data binding, unit testing readiness, dependency injection, routing and animations. Apparently, it is little confusing to select the right framework when developing the next generation AngularJS application. There are multiple front-end frameworks available out there that support AngularJS. In this blog, we have listed 12 AngularJS frameworks which are best suited for the development application. Many AngularJS development companies find it challenging to build a progressive web app and native app. Their challenges are resolved with Ionic, a free and open source mobile SDK that helps to build PWA and native apps. 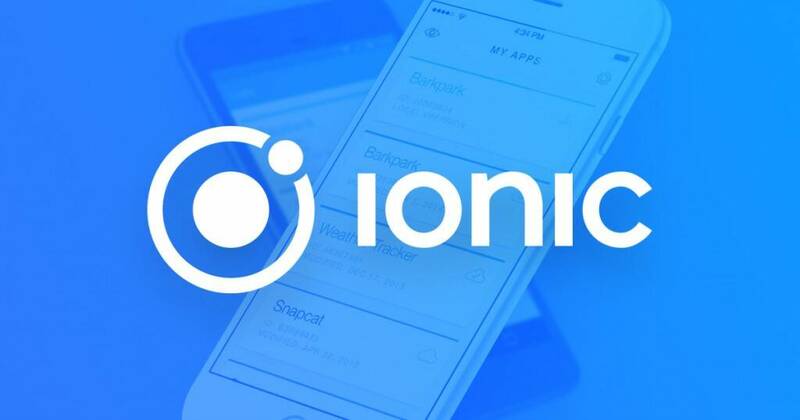 Ionic is fully cross platform and uses over 120 native device features like Bluetooth, HealthKit, Finger Print Auth, and more. It comes with multiple ready-made components, extensible base them and typography that adapts to every platform. 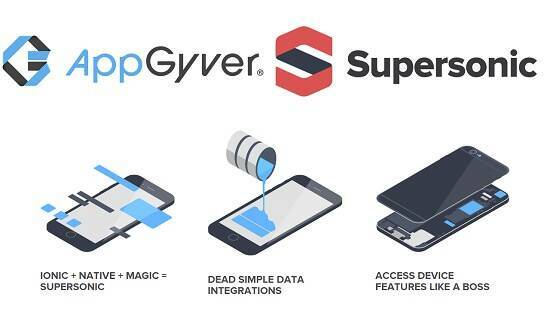 The supersonic framework is mainly used by application developers to build hybrid apps. The supersonic framework helps in creating a well-defined structure as compared to other frameworks that are not providing good structural layout, making the project complex. Another benefit is that by default supersonic apps follow MVC ( Model-view-controller) pattern which means that each of these is separate and has different areas of responsibilities to make the application functional. Mobile Angular UI is a user interface framework to develop or design an HTML5 mobile application with a combination of both AngularJS and Bootstrap. This framework follows best practices for a smooth user experience and improved performance. 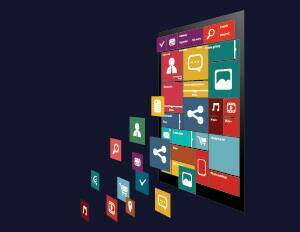 The framework is best suited for the hybrid app development. Framework7: Free and open source framework that helps to design as well as develop hybrid mobile apps. Ratchet: With the help of CSS, JS components and HTML, this mobile UI framework helps in building a user-friendly interface for mobile apps. OnSen UI: Another mobile UI framework that contributes in providing tools for building HTML5 hybrid mobile apps. All technologies are free to use and are open source. The updating of the stack happens regularly. Flexible and easy to understand. For transferring of data, one can make use of JSON and Node.js. UI-Bootstrap is a framework written natively for AngularJS. It offers multiple directives such as alert, carousel, dropdown, buttons and much more. The key element of this framework is that it contains a set of AngularJS directive which is highly based on CSS components, Bootstrap HTML and it does not make use of jQuery. A responsive frontend framework based on AngularJS. By following the guideline of Material design, it creates excellent apps and websites. Design applications easier and faster with the help of Saas, jQuery and AngularJS. Built on Neat, Bourbon and Saas for providing a customizable application. Make use of jQuery to boost the overall performance of web application. It is highly reliable on AngularJS for facilitating web application development which is based on MVC (model-view-controller) pattern. One of the biggest advantages is that the framework is a wrapper over the HTML5 video tag which simply makes you add whatever you want. It is a subpart of Angular UI suite which has many modules for AngularJS framework. It consists of multiple features wherein it allows working with large and complicated sets of data on a grid. Adding to Angular UI Grid features, this framework includes features like filtering, grouping, sorting, virtualization and more. Another popular framework which is built on responsive and modern frontend framework called Foundation. This framework offers multiple directives which are based on Foundation’s markup and CSS components. Some of the directives are a trigger, interchange, alert and more. One of the modern UI framework designed for a web application which is based on AngularJS. For building dynamic UI, the framework consists of directives and CSS definitions. Developers can leverage it and take advantage of these for creating a variety of web based user interfaces. This UI framework offers a variety of features like the snack bar, grid, form elements, positive/negative action buttons and more. Companies are shifting towards providing Angular development services as AngularJS can very well separate the web application into smaller and functional components that can be integrated with other web applications as well. AngularJS covers an excellent range of functionality for building a web application. An AngularJS development team can make it a success by using multiple services, directives and controller. Even with new frameworks being introduced now and then, AngularJS does not drop its popularity. Most of the global organizations are sticking to AngularJS framework as it helps in making the tasks like routing, templating, etc. much simpler and moreover it eliminates the efforts in maintaining the applications.